Thursday, December 21st is the winter solstice and the shortest day of the year, and the focus will be on people in the Billings region who lack a permanent address, a place to call home. It’s the 24th annual Homeless Persons Memorial vigil, an opportunity to remember and grieve the homeless who have died over the last year. Carol Blank, manager of care for the homeless at RiverStone Health, said there is no service, no funeral, no closure for the friends of the homeless who die. "And many of them have long friendships, that live in this same living areas, homeless situation, " said Blank." It’s a chance for them to get that closure and grieve the loss of their friend." Blank said the vigil brings together people who want to know more with those who serve the homeless. "I just invite everybody to take some time to just know that this really, as human beings," Blank said. "It could be you, it could be me or somebody we care about that life throws them a curveball, that maybe they don’t have the resources to withstand. And a lot of people are people that had what we see as a normal lifestyle until something changed in their life." 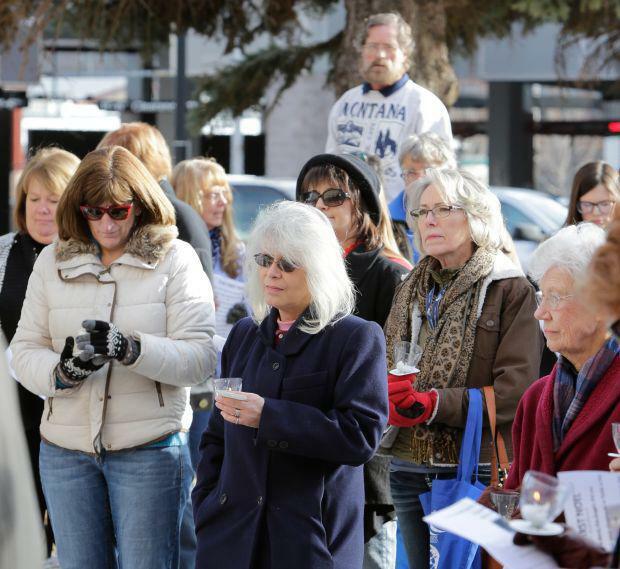 The candlelight vigil is at 12:15pm Thursday, December 21, at the Yellowstone County Courthouse Lawn. Those who attend are asked to bring a donation of warmth—of new socks, mittens, gloves, hats and scarves to be given to the homeless in the community.